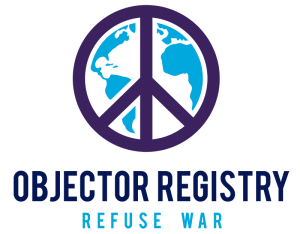 The first ever Objector Registry offers a declaration of conscience for anyone to assert their moral opposition to war, regardless of age, gender, or religious affiliation. This serves to create a protective record of beliefs and actions with which to oppose a later forced draft. 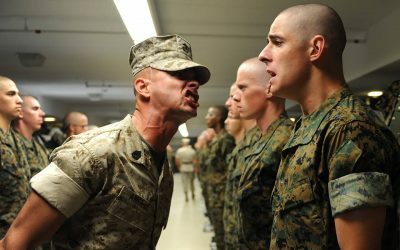 On January 23rd the National Commission on Military, National, and Public Service released their congressionally mandated Interim Report which noted, “With respect to the Selective Service System, we are considering options that could: Expand the registration requirement for the Selective Service System to include women [and] identify individuals who possess critical skills the nation might need.” As all combat roles are now open to women, the men-only registration requirement is now likely unconstitutional, an impetus behind the creation of the Commission. 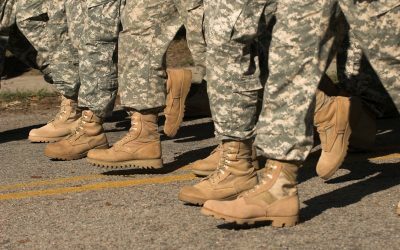 Every young man living in the US, age 18 through 25, is currently required by law to register for a future draft. 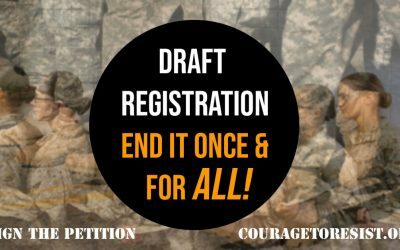 Yet there has been no way until now for an individual to register their objection to war. In the case of conscription, draft boards evaluate exemption claims of conscientious objectors in large part based on an already documented history of beliefs and actions. The Objector Church’s national registry exists to provide this form of proactive resistance to war and defense of life. The registry is provided by the Objector Church, an interfaith peace and justice community founded on religious humanism, and Courage to Resist, a project of the church best known for organizing the successful campaign to free whistleblower Chelsea Manning. Objector Church ministers James Branum and Jeff Paterson have assisted hundreds of military service members with conscientious objection guidance since 2007.